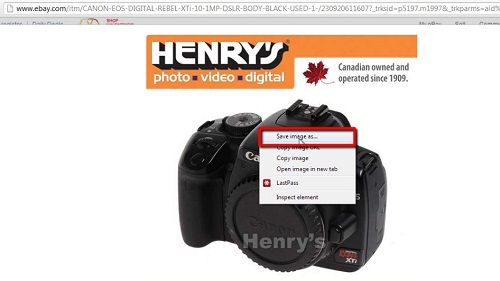 In this tutorial you are going to learn how to save ebay pictures which can be useful if you want a reference picture of what you have purchased. 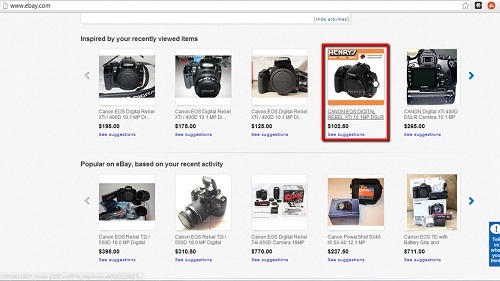 Visit eBay and find locate the item that you want to save the picture of. Here we are just selecting any item on the front page. Wait for this item to load. Assuming the item has a photo available it will appear on the left. The normal process for saving a picture would simply be right clicking and choosing the save option. 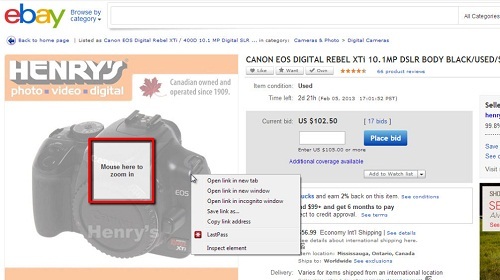 In eBay however you will find it offers a zoom option which prevents the save option appear in the right click menu. To bypass this problem, simply click on the image and a new frame will open with a larger window. Right click on it and you will see the menu with the option “Save image as…” present again. Click this and in the window that appears name the file and click “Save” – that is the very simple process when learning how to save ebay pictures.